This would have been Tatay's 52nd birthday. I can still remember the last conversation we had over the phone. "Wag na kaya kitang sunduin? Ang aga e, pagod ako." I asked him to fetch me at Sta.Rita Exit, it was Nov.1 and I'm still at the lab doing my thesis. It was a tease actually, he's fond of making fun of me, his way of "lambing." My siblings would say "ako ang paborito" but Tatay would just reason that I am far from them that's why he gives me extra attention and care. There were many times that I hated him, for all the pains he caused Nanay and us, but those bad memories were gone. Left were the 5 years of his transformation for us. Those years of happiness with him amidst our simple life. 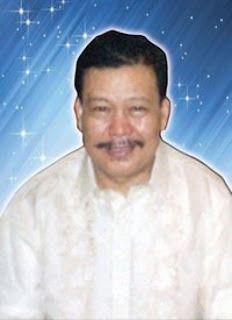 All I can remember now is his laughs (tawang asar), dance, and jokes. I know I caused him pain too. He had high expectations from me, and now I realized I failed him so many times that I didn't know if he became proud of me. I just wish he's still here with us. To see how strong I become. But I know this was God's plan for all of us. I know he's still watching over us. He was a strict father but I love all his ways. I realized I miss him more right now. I wish you're still here with us but don't worry Tatay, we're all smiles now. I love you very much. I wanted to start blogging again two months ago but I can't find the right time for it not until now. I started blogging during my college years. I guess I used to write all my ideas, sentiments, and experiences before. I stopped 4 years ago when I got some privacy issues. Now, I'm starting a new blog, hoping I can still come up with new ideas to share and write anything under the sun.